Hey everyone! 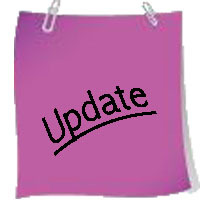 Just wanted to give you all a little heads up and let you know I changed a few things around the site. There are four new questions on the F.A.Q page, so feel free to stop by and check those out. I love getting emails from you guys, so don’t hesitate to contact me if you have any more questions or comments!! I also updated my Follow Policy to add a few things. Check out all of the additions here. But in a nutshell: I no longer follow blogs with excessive swearing. And, if you have a Facebook, be sure to “like” Andrea Kelly and The Hand-Written Life! I’m sure to have some extra content for you at least once a day. Lastly, I am still doing my best to get back to everyone’s comments and responses to my post “Burning Bridges.” I’m amazed at how much thought and effort some of you put into the things you said! There are still some really great comments left that I haven’t acknowledged yet, so I just wanted to let you know that I’ve read, and re-read most of them at least twice. Hopefully I’ll get a chance to respond to the rest, but if not, please know that your words still mean the world to me. Also, I’ll be sure to update you on my decision sometime in the next week. I have made one, though I suspect it will be a while before I find out how the dust will settle. Oh yeah! 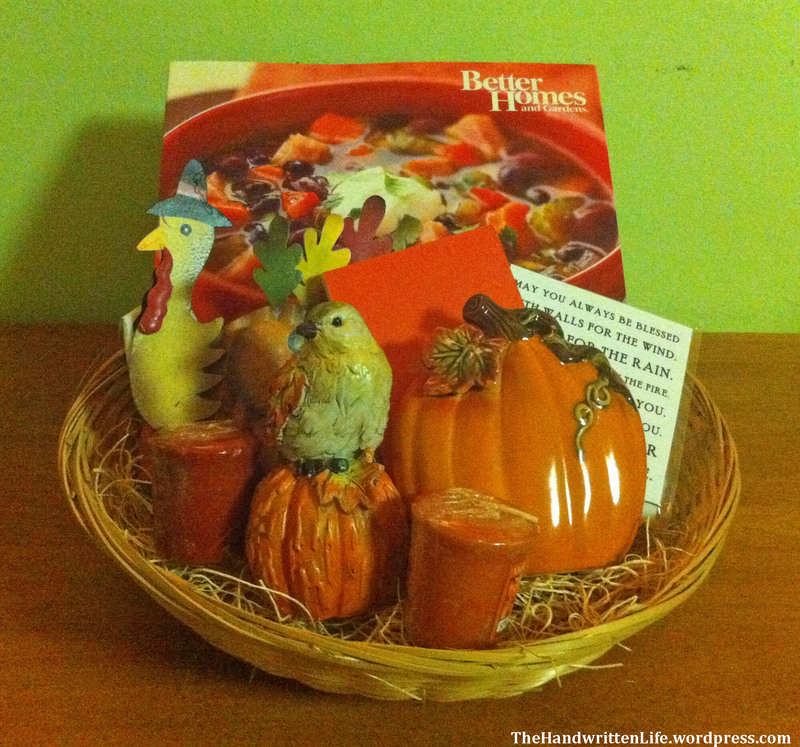 And don’t forget – there’s still time to enter to win this fall goodie basket! The giveaway ends October 31st at 11:59pm pacific time, and the winner will be announced November 1st. Head on over to the giveaway page to enter today! I hope you all are having a fantastic Friday! Does anyone have exciting plans for the up-coming weekend? Nothing fun planned here. Was going to try and do some reading, but I’m now tackling a migraine without any medication. I think its going to be a long day. Oof, I’m sorry to hear that Lori! I hope you’re feeling better? I wish I could just kick those migraines to the curb for you! Saturday: sleeping very late, catching up on posts and comments of a blogger-friend who writes long, long interesting posts resulting in equally long comments between us, and then a dinner party with long-time friends coming over (smoked pulled-pork shoulder on the menu) to catch up on Weeds (I got them through the first seven episodes of the last season). Oh, and I have to do the laundry. That sounds like a pretty good weekend to me! I always save my laundry for the weekends, myself. (Looks like I might be putting it off a bit longer this week though, as my washing machine just decided to leak all over the floor with the last load). I hope you had a fun dinner/Weeds party! Bummer on the washer – hope it’s something simple (like a loose hose). Stuff really builds up over a week. Lots of blogs I follow have new posts, plus many new comments. Might be longer than I expected getting back. Took a hard fall tripping on an unmarked curb, and now my left hand is messed up. Hard to type plus pain is distracting as heck. Beautiful goodie basket! Your referrals cause me to go back and read to see those posts. Good idea to get readers to stay longer and read more! Thank you! I had a lot of fun putting it together.